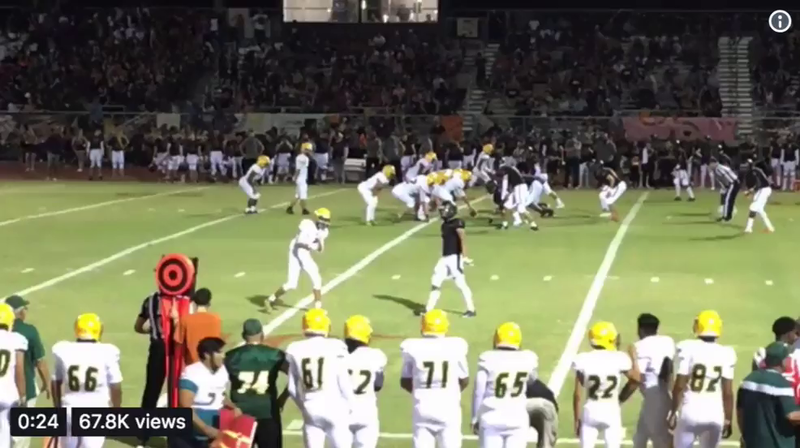 (by Richard Obert, Arizona Republic) – [An Arizona high school football player will miss his senior year homecoming game after being ejected from the game for high-stepping in the end zone following a spectacular catch during a match up last week (on Sept. 21). 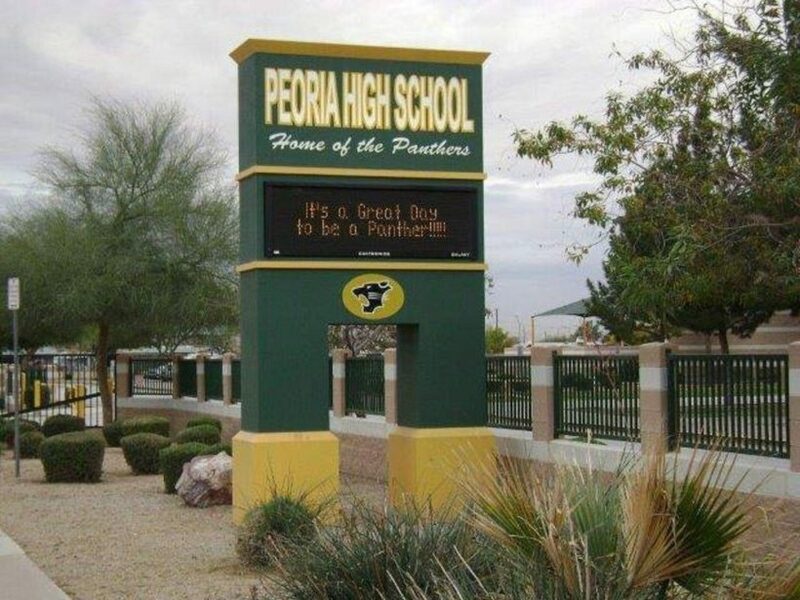 Peoria coach Will Babb said his emotions went “full circle” over the weekend over the play. He wants to make sure his players are held accountable. “I am really perplexed, because I am still not sure what he did wrong,” Babb said. “He did have high knees, but there is no rule against high knees. He scored, ran to the back of the end zone and celebrated with his teammates. I didn’t see it as taunting. Peoria has sent its side to the AIA and the Arizona football officials’ leadership, but has not received any feedback yet. Brian Gessner, head of officials for the AIA, said he’s not going to comment on whether it was the right call. From AZ Central .com. Reprinted here for educational purposes only. May not be reproduced on other websites without permission from AZCentral. 1. For what reason did Arizona high school football player Cameron Torres receive a penalty after scoring a touchdown in the Sept. 21 game? 2. Why was Torres ejected from the game and also given an automatic game suspension? 3. The AIA doesn’t allow an ejection to be appealed. What is Coach Will Babb asking AIA to do? 4. a) Why is the coach asking AIA to overturn the referee’s ruling on the play? b) What is the coach’s concern over the review? 5. Re-read paragraphs 6-9. What do you think of the coach’s tone/attitude? 6. a) How has the head of officials for the AIA responded? 7. a) What is high stepping? b) Watch the video. What do you think? : — Was Cameron high stepping? Was he taunting his opponents? Was this unsportsmanlike conduct? c) Torres already had one penalty for unsportsmanlike conduct, which was not described in the article. Do you think whatever he did to cause the first penalty had any bearing on the ref’s call on the way he celebrated in the end zone? 8. Not knowing the player or seeing any of the games, it is hard to tell if he deserved his first unsportsmanlike penalty. Based on the coach it sounds like he generally displays decorum when playing. What do you think about the type of behavior high schools expect from their athletes compared to the type of behavior displayed by NFL players?